Wish you all a very happy and colorful Holi. The festival of color is around the corner and I could not think of a better sweet than this Bottlegourd halwa or gardudde halvo. Aayi prepared this for us during Diwali and it was so delicious. Bottle gourd was rarely bought at home when we were growing up. I would almost always ask aayi to make burfi(khadi) from it. I could eat it anytime. This is definitely an easier version of the same. Then we started hearing about the health benefits on TV. Ever since then I have been using it regularly. I normally make a quick dal or some spicy dish from it. 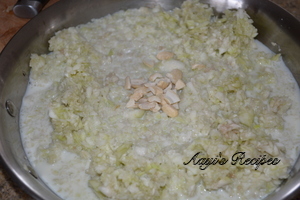 For halwa, grated bottlegourd is cooked in milk, which gives a fantastic aroma. Then the nuts and cardamom brings that divine aroma. 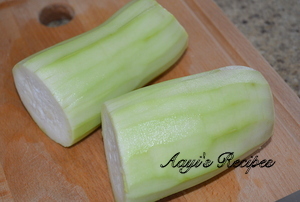 Peel and remove seeds from bottle gourd. Then grate it. Add milk, cashews and cook. When milk is absorbed, add jaggery. 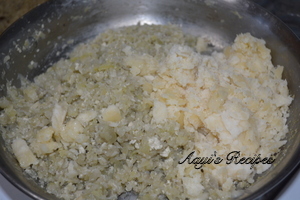 Cook till all the jaggery is melted and well mixed. Take off heat and add cardamom powder. 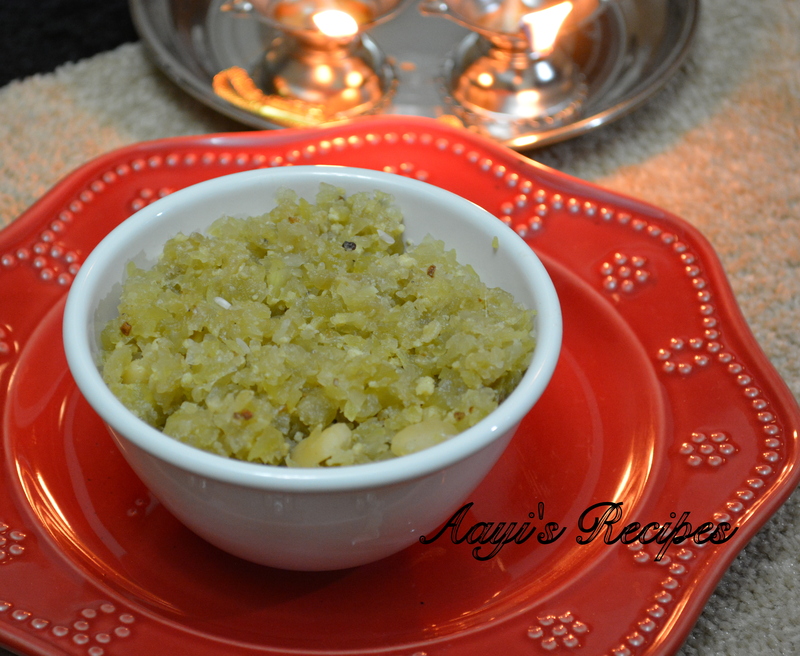 Awesome recipe without adding ghee. 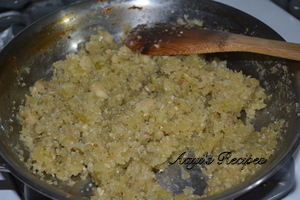 Thanks for the receipe; especially the jaggery part, which shows how it used to be prepared. 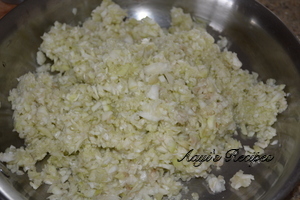 I make this with a variation of frying the grated mixture with ghee before adding milk. Or ghee is added toward the end of cooking. I love it , awsm taste .